China is attempting to extend its territorial waters to cover the full extent of its exclusive economic zone [EEZ]. This is contrary to the past several centuries of maritime legal practice. China might assert that it is not bound by these precedents since much of this was worked out before China stood up. But then China would either have to repudiate international law generally, which would seem inconsistent with a peaceful rise, or it would have to explain why it was in general agreement with the prevailing international legal regime, with just a few exceptions. All states, including the US and China must defend their state interests as they see them. The US is a maritime power, and freedom of navigation is fundamental to US global policy. Possibly China does not have such a maritime tradition, and does not care about freedom of navigation. Acceptance of China's claim that military forces are categorically excluded from EEZ transit, would render the PLAN a coastal defense force that could never leave Chinese home waters. The PLA Navy is trapped by the EEZ of Japan and the Phillipines. Leaving aside South China Sea claims, to the south it is trapped by the South China Sea littoral states. This would certainly be consistent with Chinese traditions. Possibly this would be a good thing. Possibly the world would be a better place without power projection High Seas Fleets, with naval forces that were merely Coast Guards. But this is not the world of today, and has not been the real world for the past half millennium. China opposes any military acts in its exclusive economic zone [EEZ] without permission. "We hold a consistent and clear-cut stance on the issue. We oppose any party to take any military acts in our exclusive economic zone without permission," Foreign Ministry spokesman Hong Lei said in a statement. According to the US Navy, only 27 countries share this view, including China, Bangladesh, Burma, Cambodia, India, Malaysia, Maldives, North Korea, Pakistan, Sri Lanka, Thailand, and Vietnam. About 40 other countries are landlocked [45 if the Caspian and Aral Seas are included], leaving about 130 other countries in the dissenting majority. China recognizes 12-nautical-mile-wide territorial waters and regards the 200-nautical-mile-wide EEZ under its jurisdiction in line with the UN Convention on the Law of the Sea. The comment came as the United States and the ROK planned to hold joint military exercises in waters off the west coast of the Korean Peninsula starting from 28 November 2010. The United States sent aircraft carrier USS George Washington to join ROK's naval forces in the four-day drill. The military drill was announced after ROK and the Democratic People's Republic of Korea exchanged artillery fire in waters off the west coast of the Korean Peninsula, leaving four people dead. U.S. forward-deployed super aircraft carrier entering the Yellow Sea, which would bring the Chinese capital, Beijing, within its striking distance. China has an expansive view of its rights in the EEZ,treating the area as fully sovereign territory in amanner not consistent with international law. Under the June 1998 "EEZ and Continental Shelf Act" the PRC does not recognize the airspace above its EEZ to be "international airspace" and has interfered with and protested US reconnaissance flights over its EEZ. The U.S. has protested this claim numerous times since this law was passed. The June 2002 "Surveying and Mapping Law" criminalized "survey" activity by foreign entities in any waters "under the jurisdiction of" the PRC. 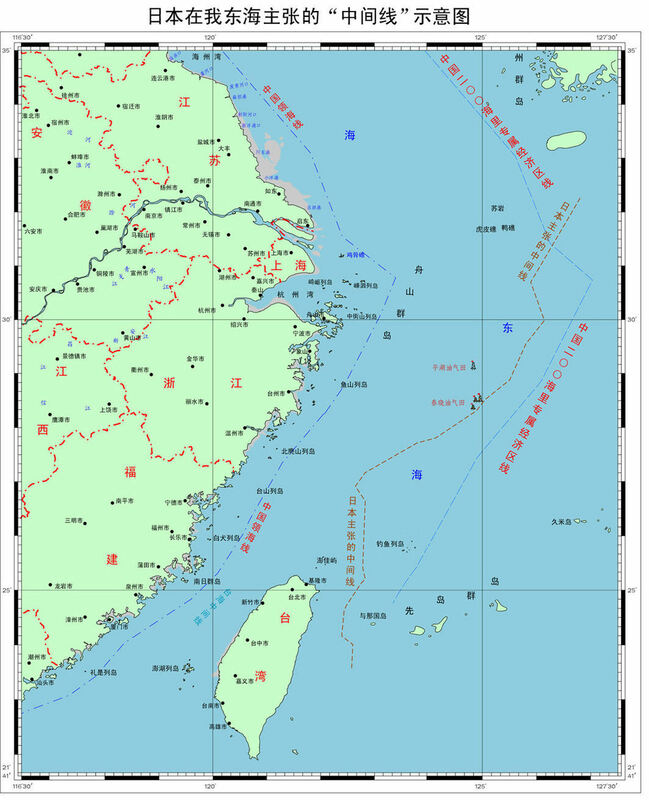 The PRC does not distinguish between MSR and military surveys and has interfered with and protested U.S. military survey activities in its EEZ. The U.S. has protested this claim numerous times since this law was passed. China said 06 May 2009 that a US Navy surveillance ship, which conducted activity in China's exclusive economic zone in the Yellow Sea, violated international and Chinese laws. "The fact is that the USNS Victorious conducted activities in China's exclusive economic zone in the Yellow Sea without China's permission. China has expressed concern over this issue," Foreign Ministry spokesman Ma Zhaoxu said in a statement. "We demand that the United States take effective measures to prevent similar acts from happening," Ma said. On 22 September 2002 China called on US vessel to stop its activities in China's Exclusive Economic Zone (EEZ), observe the principles of international law and respect China's rights and interests in its zone. "We consider that such an act violates the principles of international law, infringes on China's rights and interests as well as jurisdiction over the EEZ, ", commented Chinese Foreign Ministry Spokeswoman Zhang Qiyue on recent activities of the Bowditch, a US naval vessel, in China's EEZ without approval. On 01 April 2001 a US EP-3 reconnaissance plane collided with and destroyed a Chinese fighter jet, causing the death of the Chinese pilot Wang Wei, in airspace near China's island province of Hainan. Later the US plane intruded into China's territorial airspace and landed at a Chinese military airport without permission. The incident happened in the airspace over China's exclusive economic zone (EEZ). According to Lu Shumin, head of the Chinese delegation and Director-General of the Department of North American and Oceanian Affairs of the Foreign Ministry, under " ... the United Nations Convention on the Law of the Sea, overflight over the EEZ of another nation should not violate the general rules of the international law such as the inviolable nature of national sovereignty and territorial integrity. Due respect should be given to the national sovereignty and territorial integrity of the nation concerned and the national security, peace and order of the said nation should not be jeopardized. The activities of the U.S. side in the airspace over the waters close to China's coast have seriously harmed China's national security and national defense interests and gone far beyond the limit of the freedom of overflight provided for in the UN Convention on the Law of the Sea." There are now several maritime security disputes between Japan and China. They are delimitation of the EEZ and continental shelf, a territorial dispute and national activities in the other states' EEZ. Both countries are parties to the United Nations Convention on the Law of the Sea. Their Claims for Exclusive Economic Zone overlap in the East China Sea as the breadth of the sea between the two countries is less than 400 nautical miles. Japan insists that the median line between the two countries should be a common line for the delimitation of the EEZ. China, however, claims that her continental shelf extends beyond the median line to the Okinawa Trough very close to Japan. In another big dispute, China has claimed the sovereign right to 'Senkaku Island (Known in China as Tiaoyu Tao)' since the 1970s. The birth of a nation's authority to control its coastal waters has been traced back to the sixteenth century. In the seventeenth century, the father of international law and doctrine on the freedom of the seas, Grotius, recognized the existence of a nation's jurisdiction over the coastal waters that could be effectively controlled from the land. The extent to which a nation could control its coastal waters was largely based on the reach of its cannons on the shore. Thus, the 3 nautical mile (nm) limit of the territorial sea resulted from what is often referred to as the "cannon shot" rule. In the US, the creation of a territorial sea and contiguous zone date back to as early as the late 1700s in response to issues of national security and law enforcement at coastal areas, including a 1793 diplomatic note sent from Thomas Jefferson and legislation passed by Congress in 1799 to allow the boarding of foreign flag vessels within 12 nm from the coast. This zone was known as "customs waters" and was later called the "Contiguous Zone." By 1930 the proprietary rights of the coastal state over the resources of the territorial sea was well established, provided it did not interfere with a vessel's right of innocent passage. In 1945, President Truman issued a proclamation asserting rights to explore and exploit the oil and gas resources of the continental shelf outside of the 3 nm territorial sea. The concept of a fishery conservation zone was born in another Truman Proclamation but Congress did not enact laws regarding a 200 nm fishery conservation zone until 1976. This evolved into a zone whereby a coastal nation had exclusive control over all economic exploration and exploitation of the natural resources off its coast. By 1982, the custom of asserting a 12 nm territorial sea, 24 nm contiguous zone, and 200 nm EEZ was codified in the United Nations Convention on the Law of the Sea (UNCLOS). The U.S. proclaimed a 12 nm territorial sea in 1988, a 24 nm contiguous zone in 1999, and a 200 nm EEZ in 1983, consistent with customary international law as codified in UNCLOS. This customary law is a balanced compromise between a flag State's interest in maritime shipping and a coastal State's interest in protecting and managing its coastal waters. State sovereignty over its terrestrial lands extends to its internal waters and territorial sea, including the airspace above and the seabed below. Subject to ancient customs where nations should provide safe harbor to ships in danger or distress (force majure), the State may restrict entry or travel through its internal waters. The State may also prohibit the entry into portions of the territorial sea, provided there is still an area that allows for vessels to exercise their right of innocent passage through the territorial sea. "Passage" through the territorial sea must be continuous and expeditious, although that may include stopping and anchoring under certain circumstances. While warships are generally immune from laws and regulations, the U.S. has the right to require foreign warships comply with State laws. If they don't, the State may order the foreign warship to leave its territorial sea. The contiguous zone is a buffer to the territorial sea, and within it, the State may exercise the control necessary to prevent infringement of its customs, fiscal, immigration or sanitary laws and regulation of territorial sea. In addition, the State may regulate the removal of cultural heritage, including foreign flagged vessels and nationals in its contiguous zone. The EEZ extends from the territorial sea out to 200 nm. It does have exclusive sovereign rights and jurisdicton for exploration and exploitation of natural resources of the seabed, subsoil, water column, and air space in the EEZ. According to the United States, The State "does not exercise sovereignty in the contiguous zone or the EEZ". China takes a different view of this matter. According to the Ministry of Foreign Affairs, China "exercises sovereignty and jurisdiction over the vast continental shelves and exclusive economic zones (EEZs), as defined by the UN Convention on the Law of the Sea." As Captain Raul Pedrozo, JAGC, U.S. Navy, noted "the PRC's position is inconsistent with international law (including the 1982 UN Convention on the Law of the Sea) and state practice. The PRC's position is also somewhat disingenuous, as PRC naval units routinely conduct submarine operations, military survey operations, and surveillance/intelligence-collection operations in foreign EEZs throughout the Asia-Pacific region. In short, nothing in the 1982 UN Convention on the Law of the Sea (UNCLOS) changes the right of military forces of all nations to conduct military activities in the exclusive economic zone. Moreover, prior to and subsequent to the adoption of UNCLOS military forces have routinely conducted military activities seaward of the twelve-nautical-mile territorial sea without coastal-state notice or consent. These activities include task-force maneuvering...."
In 2012, the PLA Navy for the first time began to conduct maritime intelligence collection operations in foreign exclusive economic zones (EEZs) * without providing advance notification. In one instance, the PLA Navy operated near Hawaii during a major US-led multilateral exercise.90 This activity runs counter to Beijing’s insistence that foreign militaries provide notification and receive approval prior to operating in China’s claimed EEZ. In June 2013, a senior PLA official confirmed China’s naval deployments to foreign EEZs and said China is ‘‘sort of reciprocating America’s reconnaissance in our EEZ by sending our ships to America’s EEZ for reconnaissance.’’ The PLA official added China has done so only ‘‘a few times,’’ in contrast to the U.S. and Japan’s ‘‘almost daily reconnaissance’’ of China.